Gabriel experiences first world problems! No internet connection. Time for another first impressions! This time with Gabriel DropOut! I think the number one thing that originally sold me on wanting to watch this was the trailer, but it also helped that the character designs looked super cute; however we shall see if cute character designs are enough for this Umaru-chan like anime. Angels and demons are a dime a dozen in the world of anime, but I can’t remember the last time it was done in a comedy? The only series I can think from the top of my head would be something like Hataraku Maou-sama and Haiyore! Nyaruko-san? Those are similar setups with supernatural people from other worlds living in the modern world, but Gabriel DropOut tends to lean more towards a Umaru-chan like setup with Gabriel having two sides to her being the best angel ever until she gets sucked into gaming making her completely lazy! While it will be unknown if this will follow that similar setup weekly we shall see. 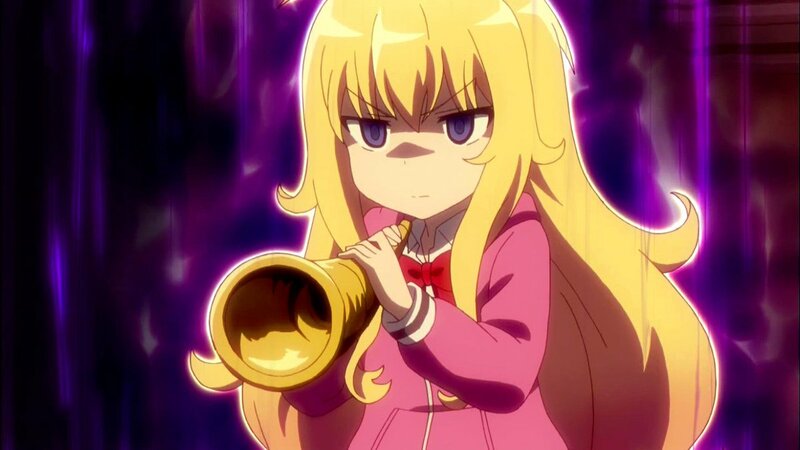 That said I really like the setup of Gabriel DropOut with the lead character being a pure helpful angel at the start, but within minutes of playing of a random MMORPG she gets corrupted by it? Also she gained a really bossy attitude as well? Not to mention Raphiel the other angel who you would think would be equally as nice and helpful is exactly the opposite she loves to troll and is very sadistic with people dumber than her? Demons that fail at being evil is amazingly funny. Now onto the demons who also switch things up! Like Vignette who is super nice and cares about everyone around her especially Gabriel for some reason? 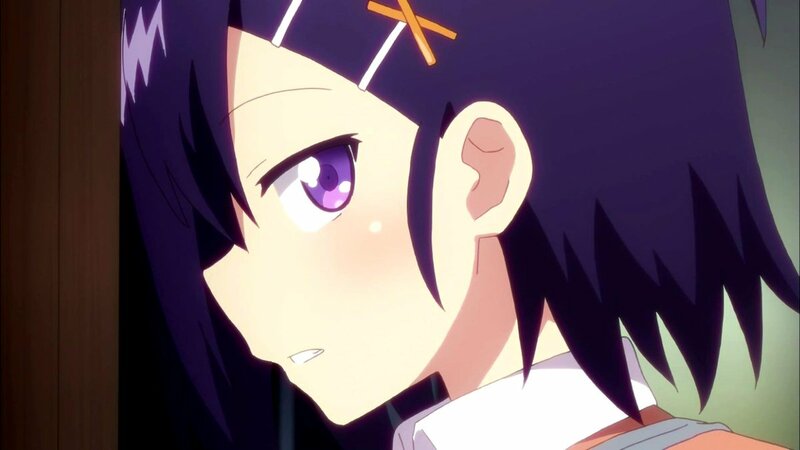 Yeah that is not demonic at all unlike the character of Satanichia who actually has real demonic plans to rule the world at some point, but all of her “plans” aren’t really all that evil to begin with and she is often ignored or is getting messed with by Raphiel on a daily basis? 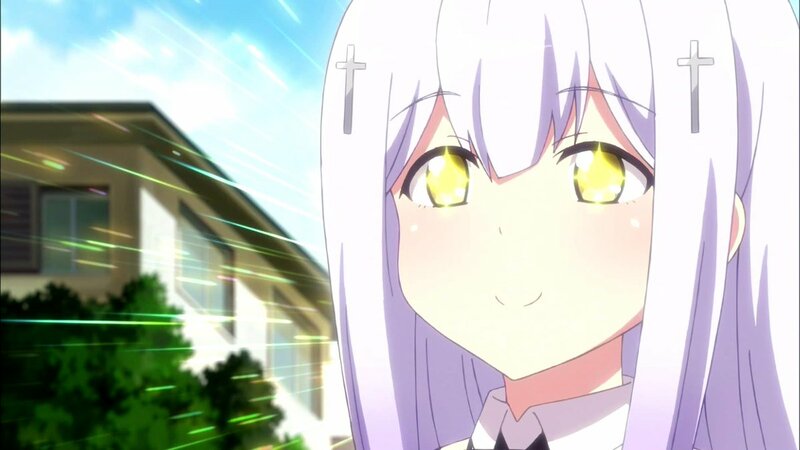 So yeah I just love how Gabriel DropOut gives you these things expectations from character types ie angels who are generally good and demons who are purely evil beings, but that setup is really hilarious to me. Aside from all that I really have no idea what the real story is going to about aside from Gabriel doing silly things to avoid going to school? The demons learning how to actual do bad things? I know one thing for sure they aren’t going to be teaming up to save the world from some supernatural threat. Gabriel is an oddball angel. Same for the sadistic Raphiel. Satanichia will be the fan favorite. Hey on the brightside at least the room is clean. Well that was certainly funny, but much like the humor of Little Witch Academia most of the hilarity comes from the normal slapstick stuff were used to like the scene with Vignette using her powers to prove that she is a demon by accidentally blowing up Gabriel’s bedroom? That scene was super funny! Besides that I liked some of the random humor with stuff like Gabriel liking the idea of becoming a fallen angel? 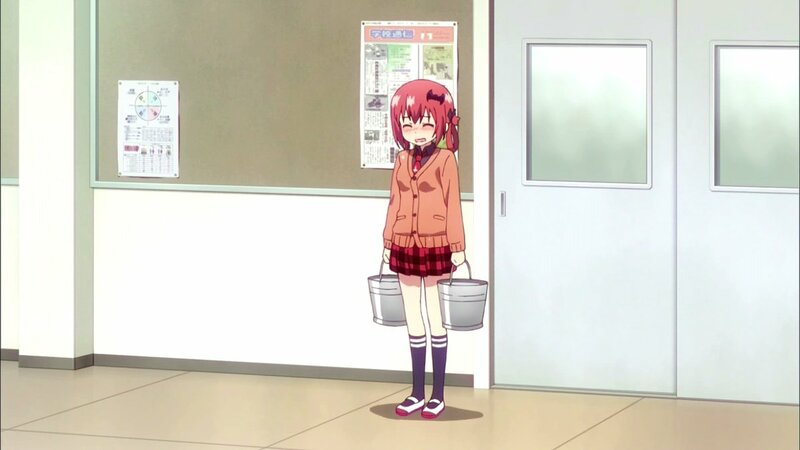 Raphiel trolling Satanichia and holding back her laughter? And of course the best is just how all the demons try to be badasses, but end up getting sucked into doing good deeds instead? Yeah things like that to me is really funny; however I know that is subjective cause most people don’t find the same things funny as others and I think that gimmick about the angels and demons will become old really really fast or will it? I was certainly super entertained by this episode! So what did you enjoy about this and are you planning on watching more?? As a random side note I love listening to Miyu Tomita who voices Gabriel say mean things because i’m so used to hearing her voice work on Aikatsu Stars! as Yume who is by far the most pure and kind anime character I have ever seen. Endcard art by the mangaka for Ichigo Mashimaro. – Raphiel(a) – Seriously…is she is a…uh…”sadistic” or something?, i mean this is one questioning person here or maybe just me! I’m not sure just how long they can milk Gabriel as a “fallen angel” and Vigne and Satanicha as incompetent devils for humor. Raphiel trolling others for her own sadistic entertainment seems like the shtick they can get the most mileage out of, especially if Satanicha is her favorite target, although she also needs to do it to others. She ought to find it real easy to troll the boys in class. So far, Vinge is a favorite. Both she and Gabe are the “normal” ones, and you need that will all the insanity going down with Satan-chan and Raph. Yeah, Gabe is pretty normal, basically giving up and playing vidya all the time. I’m glad this show did the one thing I wanted it too, and that was improve the 4-koma material, at least to me. I don’t know what it was but I just didn’t find it that interesting, even at the beginning. the anime lifts it up a great degree. But then, It’s Dogo Koba, and they pretty much rock most of the time. …and yay for Barasui, the endcard artist. He should do many more things. Maybe this studio can do more Ichigo? This is definitely an improvement over the source material. The comedic timing is good, Gabriel’s nature feels much more consistent, and Satanichia works much better animated. As does Raphi’s teasing.